Living as an agri-culinarian is the latest in a long series of personal incarnations. I've had time for quite a few. The exciting part of immersing myself completely in something unfamiliar is the chance to become someone different. To achieve these new identities, I've spent the past 40 years truly getting around. Some of my past incarnations include running a small business-consulting firm, becoming a watercolor painter, researching artistry to complete a doctorate at the Stanford University School of Education, writing and publishing a book, competing in Western equestrian sports, and attending both a professional dog-training school and a professional culinary school. Since the food world hooked me, I've traveled to Italy to work with chefs, to a pig farm in France to cut meat and make charcuterie, to England to work on a water-buffalo farm, and to Vermont to learn the secrets behind artisan cheesemaking. 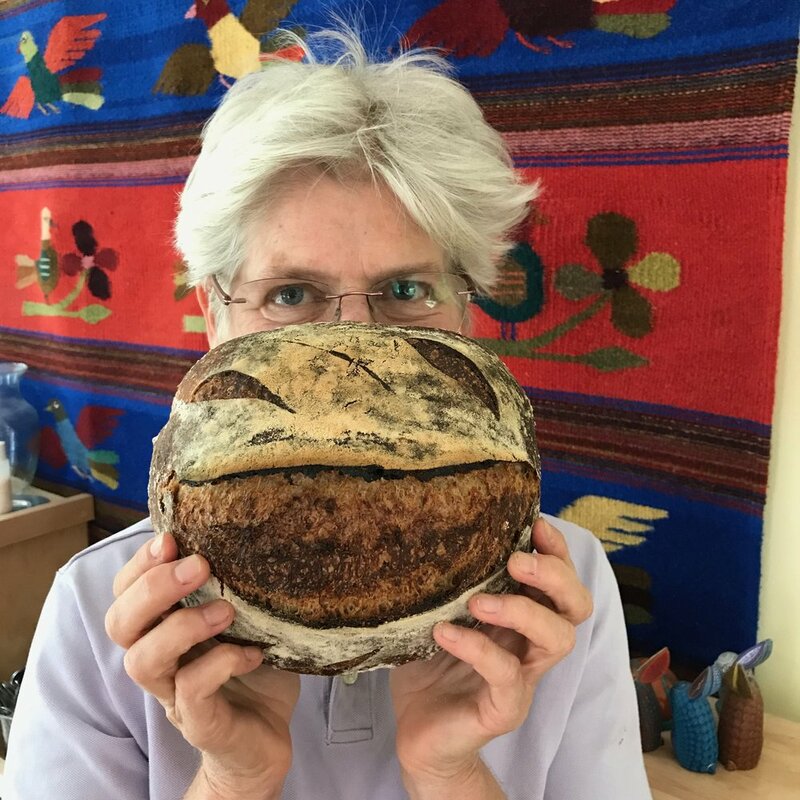 At the time of writing, I'm learning about bread at the San Fransisco Baking Institute, Central Milling's Artisan Baking Center, and studying with the lovely lady-baker, Sarah Owens in Brooklyn. I do not believe in vicarious learning. For learning to be profound, I believe heart, mind, and body must grow as one. So as my devoted husband can tell you, these occupations I pursue are not mere hobbies. In each discipline I immerse myself as fully possible. Sometimes this is exhilarating, sometimes disheartening and difficult. All in all, it's a great reason for living. This website it about the current shift underway. While I'm starting the story somewhat in the middle, there's still an exciting journey ahead. We're headed back to France to learn more about cheese, then we fly to gelato school in Italy to learn the art of the scoop. 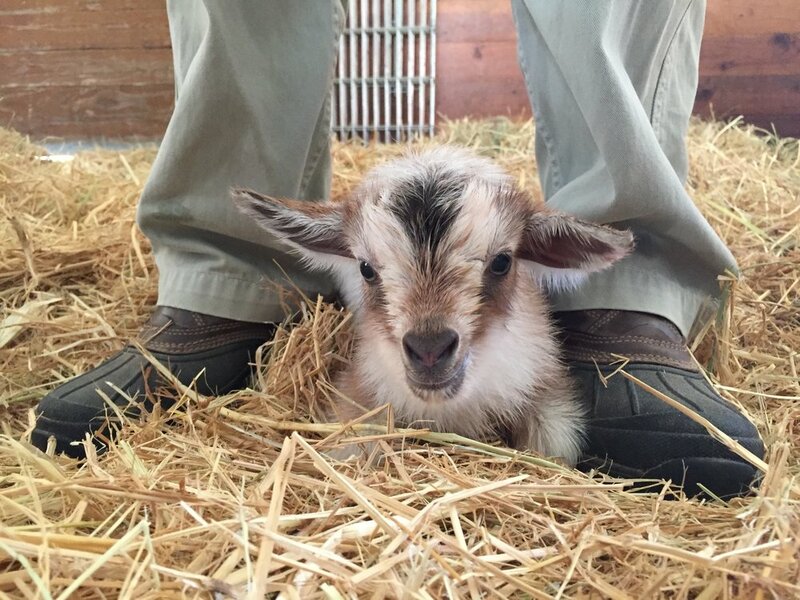 At home we have our Share-Forward program to launch, 1,500 pounds of cheese to age and taste, and a passel of baby animals to raise. This incarnation is one I'm in no rush to complete! I grew up in East Flatbush, Brooklyn, New York City. The only trees I knew then were doing their grim best to survive in grated holes cut in the cement sidewalks. Fortunately, I have been blessed to have wonderful women intervene in my life at critical points. The first was my mother, Helen. She moved us from East Flatbush to South Pasadena, a little town in the San Gabriel Valley, Southern California. I was shocked to see parks and mountains with trees planted in real soil. I also discovered the joys of shorts and flip flops. Later, when I ended up at Stanford University, and the Graduate School of Business, I met the second wonderful woman in my life, Hilary, my wife. She has also made sure that I have been surrounded by more beautiful trees. As “retirement” approached Hilary packed us up and headed North, insisting we get back to the land. This move led me away from my thirty-year career in international real estate investing to a somewhat less white-collar future. I should have seen the clues along the way. Hilary repeatedly pulled me out of the fray. We went on cooking trips to rural Italy, France, Spain, Vermont, and Australia where we worked alongside talented cooks, bakers, cheesemakers and, just lately, a world class artisan Gelatiere. On one getaway trip to Kangaroo Island, South Australia, she also introduced me to the notion of real estate developer Karma! Hilary has a habit of starting things I often have the good fortune to complete. On Kangaroo Island we bought 750 acres of decimated farmland and helped a group of scrappy volunteers restore it by planting over one million trees by hand. It can be done! We reshaped this over-grazed farmland, to create a thriving indigenous habitat for many endangered native species, animal and plant alike. Now known as the Cygnet Park Sanctuary, this restoration project led me to others similar in Patagonia, Arizona and Sebastopol, California. We’ve help to create several not-for-profit organizations, Bio-R OZ, Bio-R USA and Borderlands Restoration, devoted to research and education in biodiversity and conservation. These projects now have a life of their own in the hands of wonderful partners, the Nature Foundation and the Paton family, who share our long-term conservation/educational interests. Needless to say, I now have a better relationship with trees then I did as a kid! 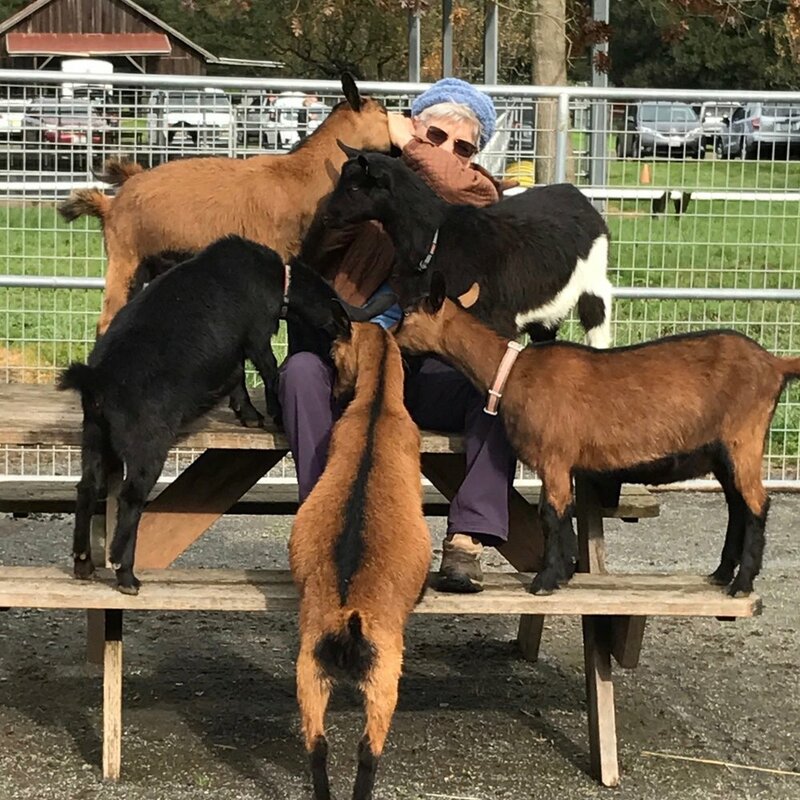 When the AARP sends you letters weekly, they are telling you something--we are now staying home a bit more, focusing locally… very locally in fact, right here on our 27-acre farm. Over the years we have assembled a great farming team. Beet Generation takes full care of the 2-acre vegetable patch. Brennan and Erin keep an eye on the 150 tree fruit orchard, 20 goats, 3 cows and a varying number of pigs. Adolfo comes most every day to make sure Hilary isn’t lugging those heavy milk pails when I’m not looking. With their help, we‘re all learning about creating and eating the best quality basic foods--bread, cheese, meat, vegetables and fruits--comparable to anything we have tasted around the world. This immersion has also given us a good dose of reality about the larger food system, with all of its wonders and horrors. Needless to say, we’ve gravitated toward understanding how to proliferate its wonders. Each season we are amazed at how much lovely food our little farm can produce! In fact, it’s so much food, we’ve had to scramble to find avenues to share the abundance! In this regard, the Backyard Terroir Share Forward program is our latest delicious solution. At this point, we don’t have much influence over that giant “food systems” that surround us, but we can help local food artisans get the attention and help they so need to persist. We can also share food so delicious that it inspires folks to throw all those bags of Doritos away! Now our goal is to inspire and support local alternatives to the massive food industries that dominate our world. We find our little farm becoming an impromptu agro-culinary experiment. We invite our friends, and hopefully some food system influencers, to come and experience what we are creating one bite by delicious bite. Keep in mind the farm-made Gelato is on the way! A good small-scale farmer is hard to find. I’ve learned this the hard way. This is especially true in a place as expensive as the Central Coast of California, where people who farm probably can't afford to live. Now add to that challenge a personal fantasy—great-looking, beer-drinking buddies who are passionate about their work—and finding the right fit is near impossible. After several failures, it seemed hopeless to us; still, we didn't want to give up…. Finding the right name for our creamy wheels is especially important because our cheeses are unique. We don't copy other familiar cheeses…. Flower was born on May 30, 2018. This was a happy day for all of us…..
©2018 Backyard Terroir, All RIghts Reserved.